If we don’t make that effort now, and this spreads not just through Africa but other parts of the world, there’s the prospect then that the virus mutates. It becomes more easily transmittable. And then it could be a serious danger to the United States. …a large but previously invisible caseload. The Bill and Melinda Foundation pledged $50 million to help fight the Ebola outbreak in West Africa. The money will be used to help the government purchase supplies, “scale up emergency operations,” and enable international aid. We are working urgently with our partners to identify the most effective ways to help them save lives now and stop transmission of this deadly disease. We also want to accelerate the development of treatments, vaccines and diagnostics that can help end this epidemic and prevent future outbreaks. Liberia is facing a serious threat to its national existence [as it is] now spreading like wildfire, devouring everything in its path. It really meant a lot to us that he was willing to give that donation so soon after his own recovery. In Monrovia, we estimate that there needs to be more than 1,000 beds to treat every Ebola patient. There are currently just 240 in total. Until that gap is closed by treatment centres with hundreds, rather than the small numbers pledged so far, the misery of turning people away at our gates will continue. Our response is running short on nearly everything from personal protective equipment to bodybags, mobile laboratories and isolation wards. But the thing we need most of all is people: healthcare workers. The right people, the right specialists – and specialists who are appropriately trained and know how to keep themselves safe – are most important for stopping the transmission of Ebola. Money and materials are important, but those alone cannot stop Ebola transmission. At least 1,000 other health workers are needed. Contact tracing identifies people who have come into contact with an infected person and monitors them for 21 days. If they develop the disease, they are isolated and their contacts are tracked down. She says many contacts’ addresses are missing or vague, like ‘down by the farm road. In all, only 20% to 30% of the contacts in the database had a usable address. Health staff have also added cornbread to the menu to encourage patients to eat. One health-care worker brought a woman a cucumber from the local market, while another promised a boy a bicycle if he recovered. Researchers from UK in Liberia say that each Ebola patient turned away by volunteers is infecting 1.5 other people. Prof Edmunds, Medecins Sans Frontieres. The doubling time of this epidemic is about two weeks, so if we are overwhelmed with our resources right now, it’s going to be twice as bad in two weeks’ time. U.S. Africa Command will set up a Joint Force Command headquartered in Monrovia, Liberia, to provide regional command and control support to U.S. military activities and facilitate coordination with U.S. government and international relief efforts. A general from U.S. Army Africa, the Army component of U.S. Africa Command (AFRICOM), will lead this effort, which will involve an estimated 3,000 U.S. forces. The White House says ‘many’ of the troops will be stationed at an ‘intermediate staging base’ where they will supervise movement of medical staff, supplies and heavy equipment. They are checking your temperature three times before you get into the airport, but if you look at the people that do this kind of work, they don’t really know how to use the devices … They are writing down temperatures of 32°C, which everybody should know is impossible for a living person. All the checks they do are completely useless because they are done by people who are not well trained or overwhelmed by the number of passengers. It is just a disaster, and it needs to be fixed. He showed no Ebola signs. Our personal protective equipment and a chlorine solution are our protection; they are our medication and they are our doctors. We maintain the ABC Rule: Avoid Body Contact. He says his team have suffered no medical problems. Duncan leaves Liberia for the U.S. He boards an SN Brussels Airlines flight to Brussels. He then boards United Airlines Flight 951 to Washington Dulles and Flight 822 to Dallas-Fort Worth. One current projection by the CDC for a worse case scenario places the number of Ebola infections at 550,000. The estimate does not consider intervention and aid from governments and relief organizations mobilizing to contain the virus. The figures stretch all the way to the end of January. 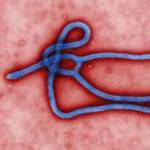 CDC is working on a dynamic modeling tool that allows for recalculations of projected Ebola cases over time. CDC expects to release this interactive tool and a description of its use soon. The CDC releases a report on predicting as many as 550,000 to 1.4 million cases of the Ebola virus in Sierra Leone and Liberia alone, by the end of January. CDC scientists also say that there may be as many as 21,000 reported and unreported cases of Ebola in just those two countries as soon as the end of this month. “he model shows — and I don’t think this has been shown by other modeling tools out there — that a surge now can break the back of the epidemic. It also shows that there are severe costs of delay,” CDC Director Dr. Thomas Frieden said in a press conference Tuesday. CDC director Frieden says Duncan developed symptoms ‘four or five days” after traveling to the U.S. The incubation period is two to 21 days. Duncan comes into contact with 12 to 18 people in Dallas over a period of several days after he starts developing symptoms. Five of them are his girlfriend’s children. An ambulance crew that takes him to hospital are also among those identified. If we don’t get this thing under control in the next six to eight weeks, it could become the biggest humanitarian disaster in a generation. 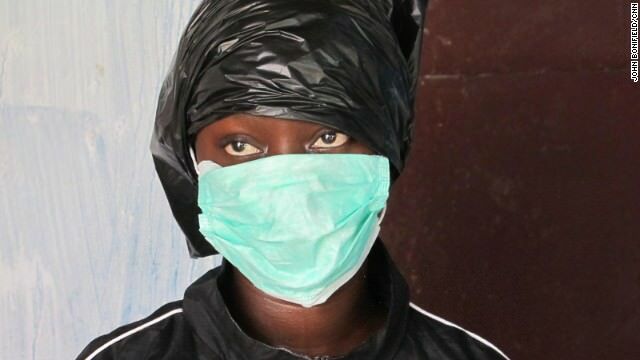 This means stopping the knock-on effects of Ebola. Hunger is a huge risk. The price of basic goods in parts of Liberia’s capital, Monrovia, is up 8% since the virus got a foothold, and in some rural areas the cost of staple foods has doubled. His condition did not warrant admission. He also was not exhibiting symptoms specific to Ebola. Although Duncan informs a nurse that he has traveled from Liberia. Staff say this is not ‘fully communicated’ to the hospital’s medical team. We have a program at FDA that monitors the Internet to look for health fraud products, products not approved by FDA that claim to cure or treat disease. We noticed that when there is a public health issue that really comes to the fore(front) — for example H1N1 a few years ago, and now Ebola — there tends to be an increase in health fraud products, which are products that claim to prevent, treat or cure disease and the product has not been approved by FDA. My stomach was hurting; I was feeling weak; I was vomiting. They gave me medicine, and I’m feeling fine. We take it, and we can eat — we’re feeling fine in our bodies. EMS had already identified potential need for isolation. The hospital followed all suggested CDC protocols at that time. It is certainly possible that someone who had contact with this individual…could develop Ebola in the coming weeks…there is no doubt in my mind that we will stop it here. Frieden also said that “a handful” of people, including family members, may have been exposed to the patient prior to his seeking treatment. Ebola doesn’t spread before someone gets sick. Ebola does not spread … from someone who doesn’t have fever and other symptoms. There needs to be direct contact frequently with body fluids or blood. A checklist was in place for Ebola in this hospital for several weeks. That checklist was utilized by the nurse, who did ask [the] question [if the patient had been to Africa.] Regretfully, that information [was not shared] with the full team. The children are at home and being monitored by Dallas County Health and Human Services, while the schools have been staffed with additional health employees and more sanitation staff. There were no signs of any disease when the gentleman boarded the flight. This was not a failure of the screening process at the airport. Every hospital in the commonwealth has been working on this since June. I would say that all of the hospitals in Massachusetts are very capable of handling a patient who presents with Ebola. Doctors and nurses have been trained to ask patients with possible symptoms if they have traveled to Africa in the last 21 days. If the answer is yes, the medical staff would ‘gown up’ and the patient would be immediately isolated and tested. If the test is positive the CDC and state Department of Public Health will be notified. The patient will also be asked for the names of people he or she had been in contact with and contacts would be instructed to isolate themselves at home, check their temperature twice a day and immediately report any symptoms or fever to the local health department. The fact that we have one confirmed case, there may be another case that is a close associate with this particular patient. So this is real. There should be a concern, but it’s contained to the specific family members and close friends at this moment. Duncan won’t be given ZMapp, as all the dosages currently in existence have already been used. ZMapp is manufacturing more supplies, but the drug takes months to produce. Health Presbyterian says he remains in serious condition. He was holding her by the legs, the pa was holding her arms and Sonny Boy was holding her back. Sonny Boy developed Ebola symptoms around the same time as Duncan, and died on the way to hospital in an ambulance. We are early in the investigation of a patient — very, very early — who we’re investigating that might have Ebola. It’s very possible that they do and they have Ebola. I think it’s also more likely that they have another condition that presents with similar symptoms. Like I said, this is a possible case we’re investigating. We don’t know if this is Ebola or a number of other conditions. The WHO says that 3,338 people in West Africa have died of confirmed, suspected or probable Ebola through Sept. 28. A total of 7,178 cases have been reported. 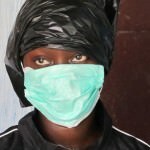 It says the situation in Guinea appears to have stabilized somewhat, but the epidemic is growing in Sierra Leone and likely also in Liberia. The guidance includes a poster with quick rules for evaluating returned travelers and a checklist. A travel history was taken, but it wasn’t communicated to the people who were making the decision. … It was a mistake. They dropped the ball. You don’t want to pile on them, but hopefully this will never happen again. … The CDC has been vigorously emphasizing the need for a travel history. We expect people to do the honorable thing. The agency obtained permission from the Ministry of Justice to pursue the matter. The number of people being screened in Dallas increases to around 100. CDC Director Frieden says only a ‘handful’ of people who had contact with Duncan have been identified. Most of the 100 people haven’t been ordered to stay home however officials say they ordered four of Duncan’s family members to remain in their home as the family disobeyed their request to stay there. The family was examined Thursday and hadn’t developed symptoms. A law enforcement official is stationed outside their apartment to make sure they don’t leave. Including cleaning of lavatories and galleys with heavy-duty all-purpose cleaners and wiping tray tables and armrests with disinfectant … We continue to clean and route the planes throughout our network as usual.